Anticlogging filter and Cyclofiltre kit - Ensemble de filtre antiblocage et Cyclofiltre Anticlogging filter and Cyclofiltre kit for central vacuum system. Ensemble comprenant un filtre antiblocage et Cyclofiltre pour aspirateur central. Anticlogging filter and CyclofiltreTM kit for Cyclo Vac vacuum cleaners. The anticlogging filter is a pre-filter that catches fine dust particles and protects the CyclofiltreTM . 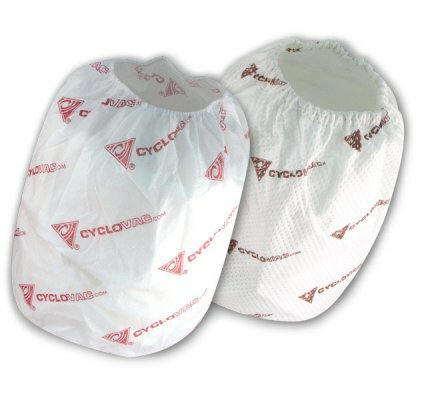 The CyclofiltreTM, with antimicrobial treatment prevents the growth of mold, fungus and bacteria, captures micro particles and protects the motor. For E, DL and DLP series only. 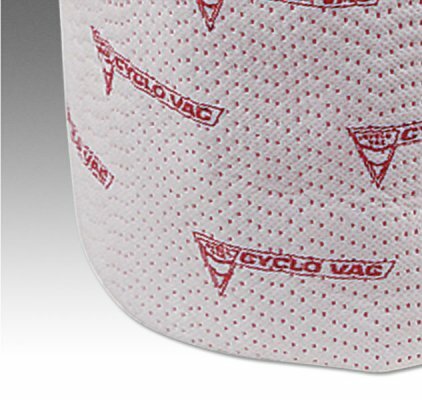 †The CyclofiltreTM is machine washable and reusable. The anticlogging filter is hand washable and reusable.